This page is for the original version. 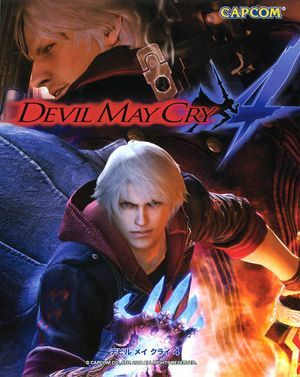 For the Special Edition, see Devil May Cry 4 Special Edition. A good port of the original console versions with plenty of graphical options and exclusive features, including a benchmark. Appears to be enabled by default, but it's very weak. 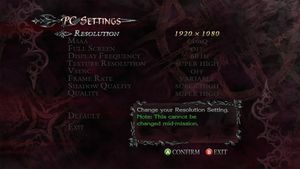 Improve through graphics card control panel. Also includes option for variable frame rate or 60 FPS limit. 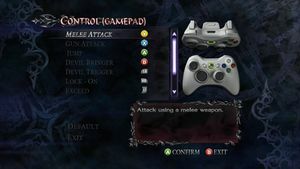 All buttons can be rebound both on keyboards and gamepads. Mouse is not used in gameplay, only in menus. Must be done once in chapter under system menu. Two sliders for sound effects and music. 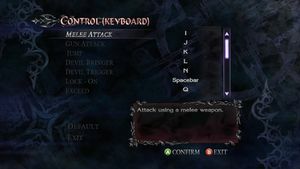 See Helix Mod: Devil May Cry 4 for better 3D support. Copy both files to your DMC4 installation folder, where the .exe files are. ↑ 1.0 1.1 File/folder structure within this directory reflects the path(s) listed for Windows and/or Steam game data (use Wine regedit to access Windows registry paths). Games with Steam Cloud support may store data in ~/.steam/steam/userdata/<user-id>/45700/ in addition to or instead of this directory. The app ID (45700) may differ in some cases. Treat backslashes as forward slashes. See the glossary page for details.